While full-size SDHC cards enjoy both large capacity of up to 32GB (even larger with SDXC) and high speed Class 10 performance, mobile oriented microSDHC cards aren’t quite there yet. 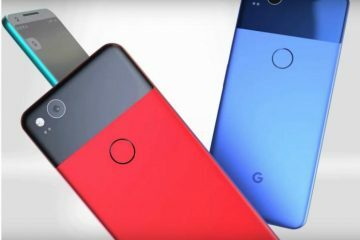 On the mobile front, the industry has yet to produce a card that’s 32GB (or larger) with high-speed Class 10 or Class 6 cards. Until than we’re left with the choice of choosing either speed (Class 6 or higher) or high capacity. Today’s review does just that: We’ll compare the highest capacity card available ( the Sandisk 32GB Class 2) against the fastest high capacity card available on the market (the Lexar 16GB Class 6). Based on your needs, do you need speed or capacity? The SD association defines four levels of Speed Class: 2, 4, 6 and with 10 added just recently. Interestingly these Class levels reveal a card’s minimum sustained transfer and not the usual maximum speed: Speed Class 2 guarantees a minimum transfer speed of 2 mega bytes per second (MB/s), Speed Class 4, 6 and 10 guarantee a minimum transfer speed of 4 , 6 and 10MB/s respectively. Some manufacturer of full-size cards are now even claiming to have a minimum transfer speeds of 16 MB/s or Class 16. 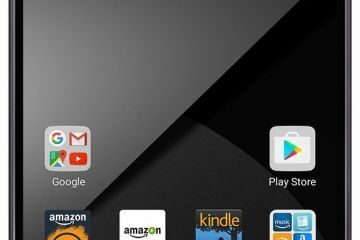 When it comes to microSD card, it’s safe to say that they are a bit slower. Do keep in mind that the maximum read/write speed can be much higher but not necessarily maintained continuously. 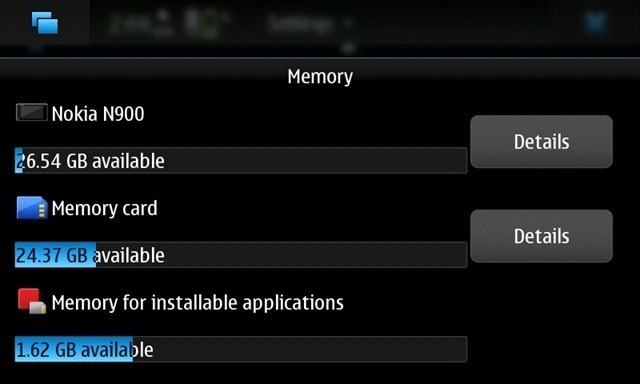 In other words a card can reach 30MB/s, but can maintain that speed for only 5 seconds for example. We pretty much prefer the Speed Class rating over the “x rating” system, because the former mentions the cards minimum sustained read/write speed, instead of the maximum. 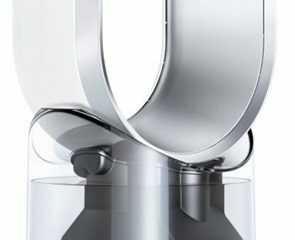 This is especially important where data is streamed at a constant high-speed rate, for example in the case of HD video recording or continues shooting mode. In these cases, even though you might have an extremely high read/write speed, not being able to maintain a constant minimum speed could lead to errors in the file or even recording at lower resolutions or slower speeds. (Some cameras even detect this, forcing you into using a lower video resolution). Being able to tell the sustained speed by looking at the Speed Class rating, makes it easier to match your SDHC or microSDHC card with the read/write speed of your device. Unlike dSLR or even digitals cameras, smartphone makers have yet to publish data on the read/write speed to the memory cards of these device and we think they should. In the past smartphone wrote small files at slow speeds, making this type of information irrelevant. But as smartphones become high performance devices, recording HD videos and even continues shooting mode of large images, the read/write speeds to the memory card can be critical. The highest performing cards available on the market are obviously ideal, as you’ll be able to squeeze the most performance out of your device, with plenty of headroom left and the added bonus that the card should be able to keep up with next generation devices. Do expect to pay premium prices for such cards, sometimes double the price for the same capacity. In most cases however, knowing the Speed Class, allows you to buy slower (and cheaper) cards that more closely match the performance of your device, saving you quite a lot in the process, while still being able to get the most out of your device. A negative point is that as read/write speeds increase, these cards will not always be able to keep up with future devices. The Sandisk 32GB card is currently the highest capacity microSDHC card available on the market and makes it possible to add some seriously large amounts of storage to mobile devices, that’s if they support the High Capacity ariant of the microSD standard of course. 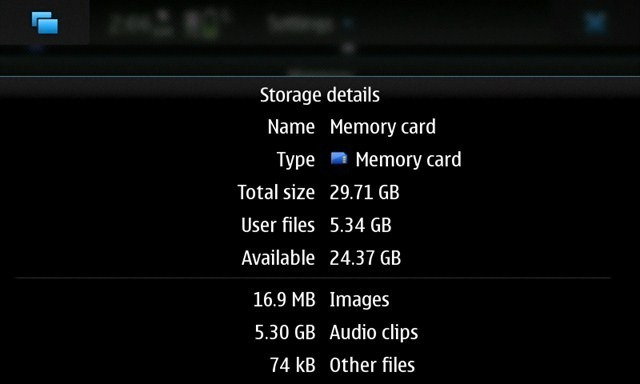 In the case of our test device, the Nokia N900, adding the 32GB microSDHC card to the built-in 32GB gave us a whopping 64GB(!) of storage. Well, technically it’s about 56.93GB of total storage, since the way electronic devices process these Gigabytes is different. So in reality that 32GB SanDisk microSDHC card is actually more like 29.8GB. Same thing can be said for the N900’s built-in 32GB, minus a few system files of course. The card didn’t come with anything other than the plastic holder. For such a premium card we’d expect at least a USB microSD reader and microSD-to-SD adapter. 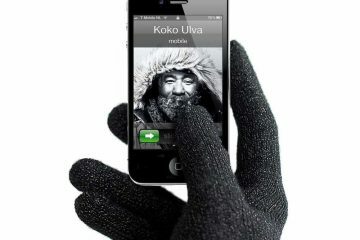 Admittedly,these are low-cost extra’s that can easily be bought separately, but would have been extremely handy if they were included. Sandisk also did not include any software on the card itself and that’s pretty much how we prefer things. 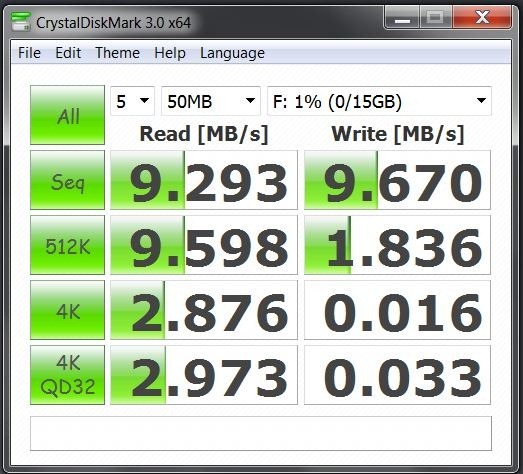 The 32GB Sandisk SDSDQ-032G-A11M, is rated as a Class 2 card, which judging by the Speed Class rating is on the slow side. While there is a 32GB Class 4 card from Kingston, we find it difficult to justify its price (Twice the current price of the Sandisk) for that extra 2Mb/s. We’re also not sure when the Kingston will become available. Currently there’s no 32GB microSD Class 6 or 10 card on the market and we have a feeling it’s going to take a while and we also have a feeling that when they do arrive, expect some very high prices! 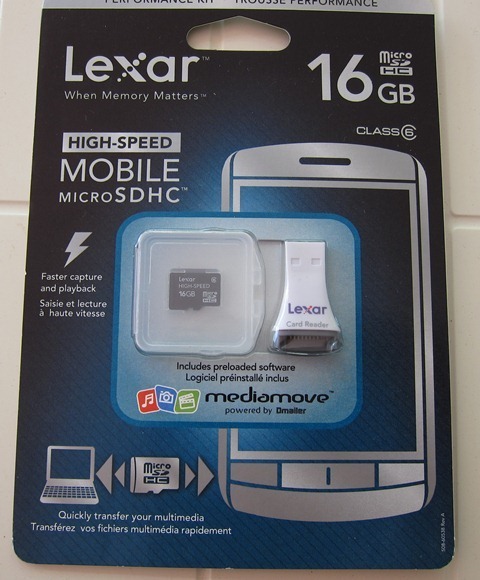 If you want the highest capacity microSD card with the fastest speed rating, the Lexar 16GB Class 6 is probably the card for you. The LSDMI16GBSBNAR comes with a card holder and USB Reader, which is a welcome plus, although we do wish that they would include a microSD-to-SD adapter. Included as a hidden file, is Lexar’s Mediamove software. You can read more about it here and here. We don’t have a problem with the software as it doesn’t affect performance on the card itself and it can be quite handy, but it does eat up precious memory (about 90MB) that could have been used for your precious data (Hey, every bit helps!). 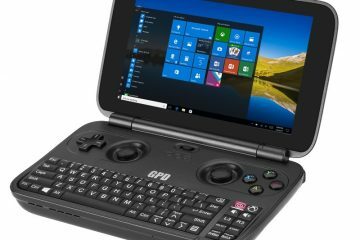 There’s no obvious way of downloading the software and chances are high that most consumer will accidently format the card, deleting the software in the process. Lexar should make this pieces of software downloadable, especially since formatting cards is an essential part of using memory cards. Update: If you formatted your card, Mediamove can be downloaded here. One thing we definitely liked about the Lexar is the added performance. As a Speed Class 6, we could not only use it with our mobile device, but with the help of an SD Adapter we could easily use it in our Canon S95 which records HD video and requires at least a Class 4. It can even be used in superfast dSLRs such as the Canon EOS 60D, which requires Class 6 or higher cards. We were very impressed how this speedy Class could keep up with anything from smartphone to dSLR!. The CrystalDiskMark benchmark was done, by putting both of the cards in an microSD-to-SD adapter and using a Sony VAIO Z12’s built-in card reader. As expected, the Lexar 16GB Class 6 performed really well, showing a consistent 10 MB/s write speed and an even more impressive read speed at around 19MB/s, almost twice the read speed! One important note is that included Lexar card reader was not able to get the read speed beyond 16MB/s, while the built-in reader did, indicating that We repeated the benchmark several times for consistency and each time the Lexar was able to maintain it’s 10MB/s write speed, which should be enough for the fastest smartphone, digital cameras and can be even used with a fast dSLR. While it is categorized as a Class 6, it’s consistent performance results above the 10MB/s seems to indicate that the Lexar could very well be a speed Class 6, bordering a Class 10. The Lexar might be considerably faster than the Sandisk, but it also has half it’s capacity, which could be a deal breaker for some. As a Class 2 device, we were expecting much lower numbers from the 32GB Sandisk, but in reality it too surprised us with a consistent 5MB/s write speed. Yes, the Lexar is twice as fast when it comes to the read speed, but for a Class 2 card, the Sandisk isn’t doing too shabby with it’s performance that’s more Class 4 than Class too. What’s even more surprising is its read speed at 14MB/s. HDTach measures the read speed on these memory cards, being able to tell us both burst and average read speed. HDTach also measures the continuous speed, giving us a good glimpse as to how close these cards are to their respective Class ratings. 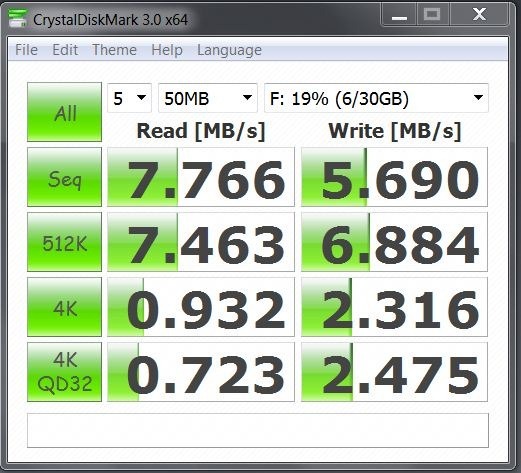 HDTach clearly shows that the Sandisk surpasses its Class 2 rating with a Burst speed of about 14Mb/s, but it’s average speed of 7MB/s, which is still good. The Lexar gives a stellar performance with a Burst rate of about 18Mb/s and an average speed of about 16MB/s. Seeing how the burst and average speed are so close together, the Lexar shows an almost flat line, a sign of its ability to consistently maintain the same high read speed. 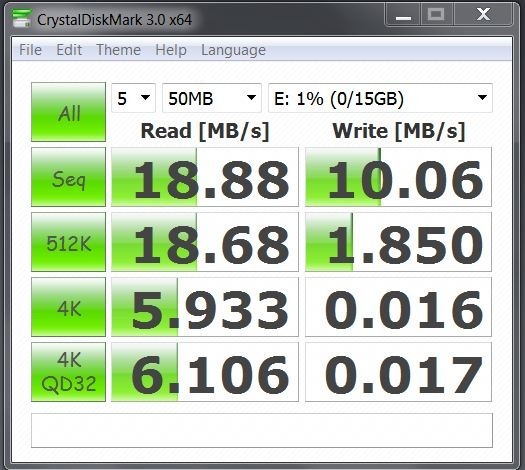 The HDTach numbers paint the same pictures as CrystalDiskMark, but shows that continuous read speed of the Sandisk is much lower. 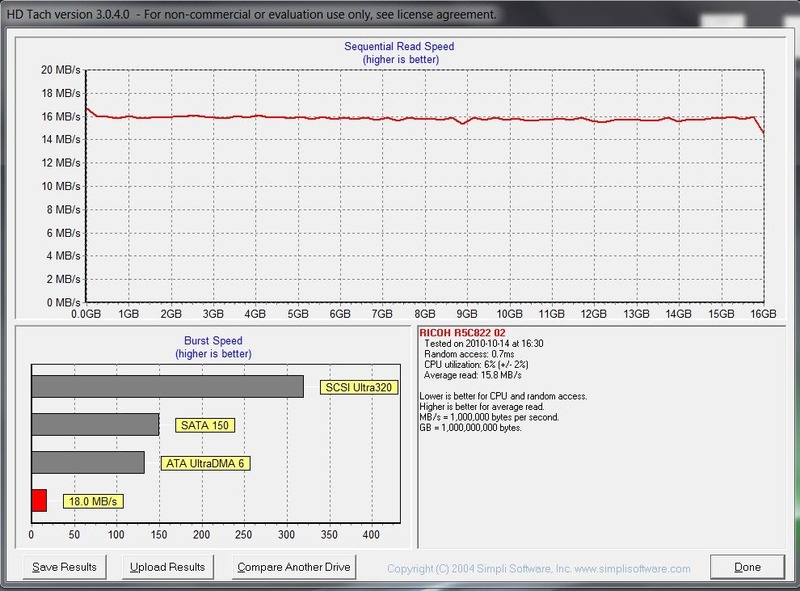 The following test consisted of using the card in the Nokia N900, connecting it via USB to our laptop and benchmarking it through our CrystalDiskMark. This test is as “real world” as it can get, creating the typical scenario where a user copies files to and from their smartphone. The end result? The Lexar showing performance beyond Class 6, almost reaching into Class 10 teritory, very Impressive! While not as fast, the Sandisk far surpasses it’s Class 2 rating with speed above 5MB/s. Both of these cards showed performance beyond their Class ratings, which is something premium brands are known to do: playing it safe with the speed classification and in the process, giving you a extra performance as a bonus. Cheaper cards are more likely to stick closely to their speed classification. Let’s start with the Sandisk: 32GB of storage is definitely attractive, somewhat of a magical number that will give you some serious storage or ridiculous storage in the case of devices that already have plenty of storage. Especially for those that want to purely use it in a mobile device, even for HD recording with smartphones, the Sandisk should suffice with it’s 5MB/s, but just don’t expect the fastest of transfer speeds when copying files to and from your Smartphone. If you’re the that likes to keep your entire library with you, the Sandisk should definitely be on your list. The Lexar at half the capacity is also half the price and clearly much faster as a Class 6 card. Our benchmarks show, that despite its Class 6 rating, its performance is above this classification and is almost reaching into Class 10 performance. Our tests seem to indicate that these are not just burst speeds, but sustained speeds which is even more impressive. This puts the Lexar in the unique position, where it can be at home in your mobile device, but feel right at home in a fast HD-capable point-and-shoot camera or even a dSLR. You will need a microSD-to-SD adapter to use with the last two category of devices. The Lexar has half the storage of the Sandisk, but makes up for those with speed and flexibility. If you’re the type that likes share your storage medium among your device, while still being able to keep up with the faster device, we would recommend the Lexar. 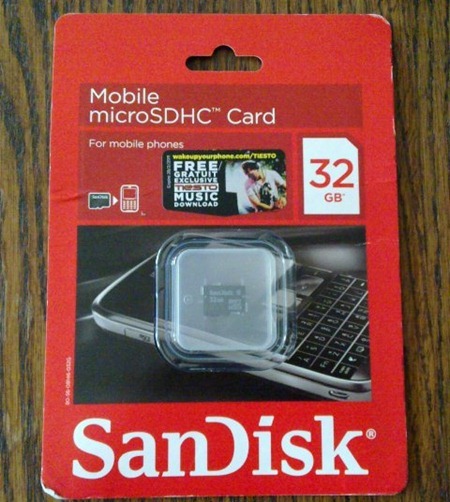 The Sandisk 32GB can be purchased at our friends at Mobilefun!